When the paper driving licence counterpart was abolished in 2015, so too was the ability for hire companies to readily view a record of non-expired penalty points when renting vehicles out. The arrival of an online portal means all such information is now stored electronically. If you’re looking to rent a car from us, you need to get a DVLA code for car hire – anyone seeking to rent a vehicle must request this specific access code to allow the rental company to check for penalty points prior to releasing a vehicle. Happily, the process is quick and straightforward to complete. Before you begin, make sure you have to hand you driving licence number (printed on the licence itself), your National Insurance number and the postcode, as it appears on your licence. To do this, go to www.gov.uk/view-driving-licence which allows you to view and share all the details relating to your driving licence. Input your unique identifer driver number, followed by your postcode. These must match exactly the details on your driving licence. You will also be asked to input your National Insurance (NI) number. You will be asked to tick a box to acknowledge privacy rules and you cannot proceed until you have done this. The next screen will display your personal driving licence information. Select the tab entitled ‘Share your licence information’, followed by the button ‘Get a code’. A code is then generated – this can be presented to the car hire company. This is case sensitive, so if you are copying it down, be careful to ensure it is exact and precise. If you require the information for your own records, you will also be able to print from this page. If you need it, you can also download a summary of this information for your records, or for offline use. Once you have generated your unique code, you have 21 days to use it before another is required. While the above process is used principally as a means of providing proof of eligibility to hire a vehicle, it can also be helpful for viewing your driving record and checking the types of vehicle you are eligible to drive, as well as monitoring the status of past or current penalties. 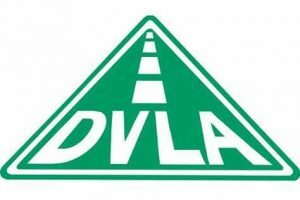 You can also get a code by calling the DVLA on 0300 083 0013 if you are unable to get one online.